More than 200,000 current university students were surveyed for the Wall Street Journal/Times Higher Education rankings. 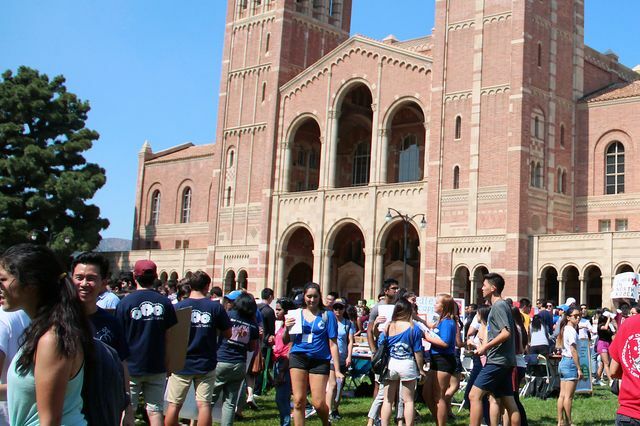 In the second annual Wall Street Journal/Times Higher Education Top Colleges ranking UCLA has been selected as the No. 1 public institution in the country. 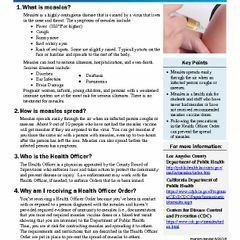 In addition, of the more than 1,000 public and private institutions that were assessed, UCLA tied for No. 8 overall in the area of campus diversity and inclusion and ranked No. 25 overall. 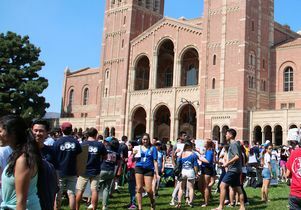 This is the third time in recent weeks that UCLA has captured the preeminent public position in leading international and national college rankings. Earlier in September, UCLA was named the No. 1 public university in both the U.S News and World Report Best Colleges rankings and the Times Higher Education World University Rankings. Unlike the Times Higher Education World University Rankings, which focus on universities’ research performance, this latest ranking measures student engagement, student outcomes, resources and learning environments. The ranking incorporated the results of the Times Higher Education U.S. Student Survey, which collected the opinions of more than 200,000 current university students, government data sources and findings from the Times Higher Education Academic Reputation Survey. Leading the overall list of colleges in this most recent “Top Colleges” ranking were Harvard University (No. 1), Columbia University (No. 2) and the Massachusetts Institute of Technology and Stanford (tied for No. 3). Among leading public universities, UCLA was followed by the University of Michigan, Ann Arbor, second (No. 27 overall), and the University of North Carolina, Chapel Hill, third (No. 33 overall). Other University of California campuses included in the Top 10 public universities were Berkeley, fourth (tied for No. 40 overall), followed by Davis, sixth (No. 46 overall), and San Diego, seventh (No. 47 overall). Note: A link above points to the Wall Street Journal rankings page, which includes content that is available only to subscribers.